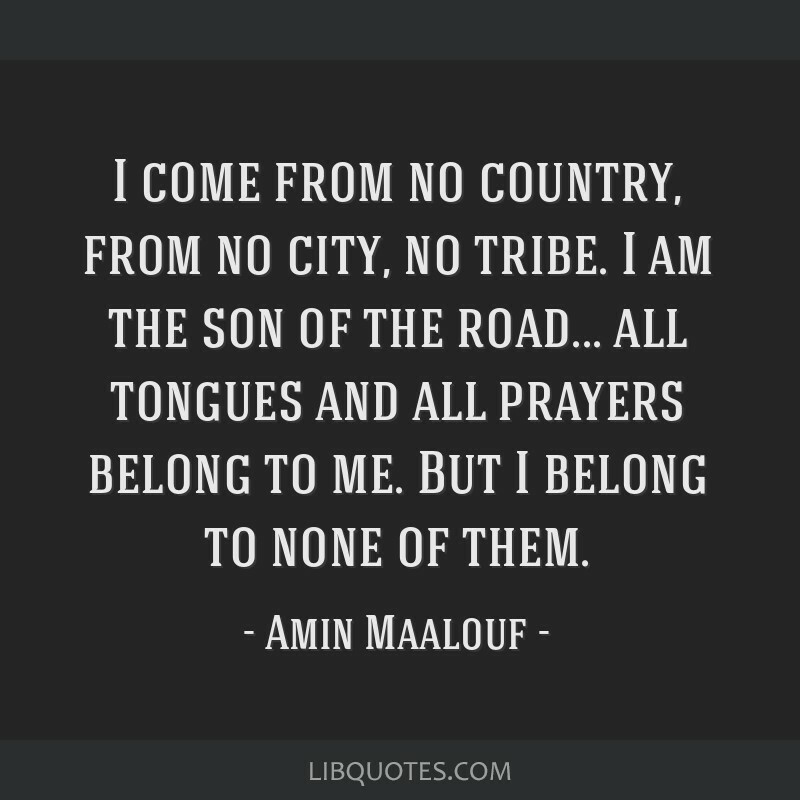 I come from no country, from no city, no tribe. 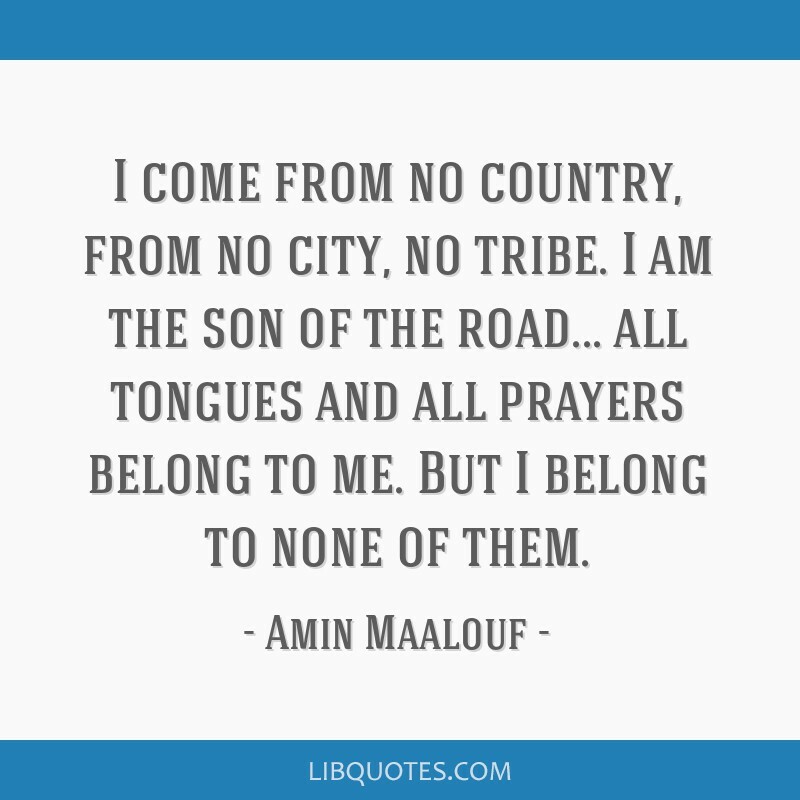 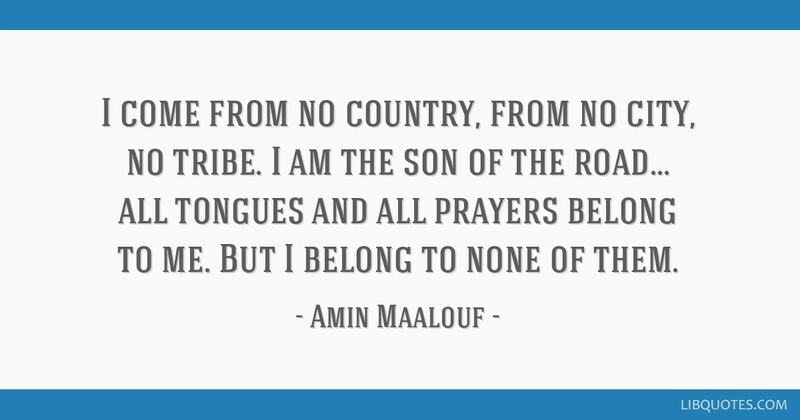 I am the son of the road... all tongues and all prayers belong to me. 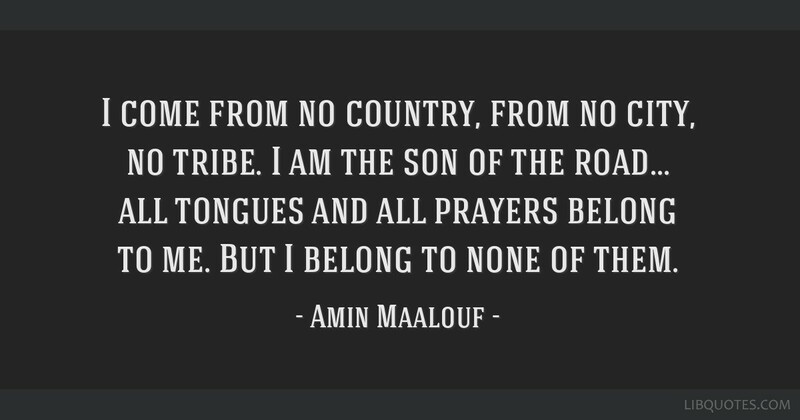 But I belong to none of them.